Communications and media work are powerful tools for organizers and non-profits working on community and social issues, but they can also present challenges, particularly for under-resourced groups. The development of new media tools such as social networking sites, blogs with multi-media content, YouTube, and cell phones gave groups more options and raised questions about where to focus already limited staff and volunteer time. Out of this challenge grew Be the Media! Bridging the Communication Gap for Transformative Civic Action, a project of Progressive Communicator’s Network. From 2006 to 2014, Be the Media helped participants understand the link between strategic communications and organizing strategies as well as learn essential communications tools and techniques. Over the course of the conferences, Be the Media served more than 500 social justice communicators. Organized by the Boston/New England chapter of PCN, the one-day mini-conference was one of its longest-running running programs. Conferences were held in Boston each year from 2006 – 2014 and in 2013 a special Be the Media for Women of Color was organized in New York City with Spirit in Action’s project, Standing in Our Power. The conference was designed to serve change makers at multiple levels of communication experience including those who were doing communications work as part of their current positions, such as organizers, executive directors or policy advocates. 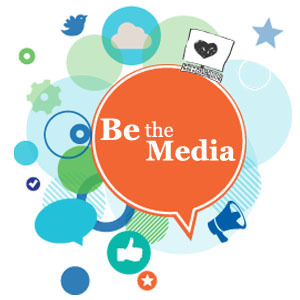 During the course of the Be the Media conferences, the above communication specialists presented such workshops like Strategic Communications 101; To Tweet or not to Tweet? The Strategic Use of Social Media Tools; Google Analytics and Other Fun with Metrics; Community Mapping and Public Policy Advocacy; Framing Racial Justice; Respect in Reporting Campaign and Mainstream Media Coverage of Violence in Communities; Launching a Viral Media Campaign; Turning Dry Data into Engaging Education: A Popular Economics Primer; Video for Change 101; Cultural Organizing: Using drama and storytelling to advance racial and social justice; Perfect Pitch: Strategies for Pitching Stories to Journalists; Using Video: Tips for Beginners; Strategic Communications for Progressives; Using Social Media to Engage People; How Effective is Your Website? ; Building Relationships with Reporters: Dos and Don’ts; Communicating/Organizing Across Differences; Strategic Communications Basics; Act Up! Creative Media and Action for Social Change; Be the Media with your Mobile Phone; Guerilla Marketing; Adapting Strategies in a Rapidly Changing World; Think Before You Speak! Learning Effective Message Development for Your Organization; Using the Arts for Creative Messaging; and Going Viral. Over the years of the conference, Progressive Communicators Network and Be the Media is grateful for the organizations that sponsored the conference, including Spirit in Action, Third Sector New England, Project Think Different, Boston Women’s Fund, Resist, Press Pass TV, amplifyme, Socializing for Justice (SoJust), MataHari: Eye of the Day, Community Change, Inc., Community Media and Technology Program at CPCS University of Massachusetts/Boston and others.